9 August 1916 - few days sick in hospital France; 5 September 1916 - few days sick in No 2 NZ Field Ambulance; 18 December 1916 - few days sick again in No 2 NZ Field Ambulance; 8 June 1917 - admitted to No 77 Field Ambulance - severe wounds to back - sent to XI Casualty Clearing Station (CCS); 9 June transferred to No 22 General Hospital; 12 June transferred to England on Hospital Ship "Princess"; 13 June admitted to NZ General Hospital, Brocklhnurst; 24 July - sent to Discharge Depot Torquay. Stewart, the youngest of four sons and four daughters of John William (1842-1925) and Eliza Ann (1845-1911 nee Trenwith) Boulter, was born at Temuka on 9 January 1886. His father was born at Burford, Oxford, England, on 3 January 1842, and in 1869, married Eliza in New Zealand. The family owned a residential section in Sodtown, Arowhenua, Temuka, and the children were educated at the Temuka School. In the years prior to the war, Stewart was living at Hornbrook Street, Temuka, where the family had later moved, and was employed as a ploughman. When Stewart enlisted on 17 November 1915, he was working as a labourer for Dan Hopkinson, a local mill owner and contractor, and nominated his father as his next of kin. Described as being single, Anglican, 5 foot 6 ½ inches tall, chest measuring 37¼ to 40¾ inches, weighing 180 pounds (82kg), with light brown eyes and hair, of fair complexion, good teeth, and having moderate varicocele. After training with C Company, Canterbury Infantry Battalion, he left with the 10th Reinforcements from Wellington on 4 March 1916 aboard HMNZT 47 or 48 (SS Willochra or Tofua), bound for Suez, Egypt. 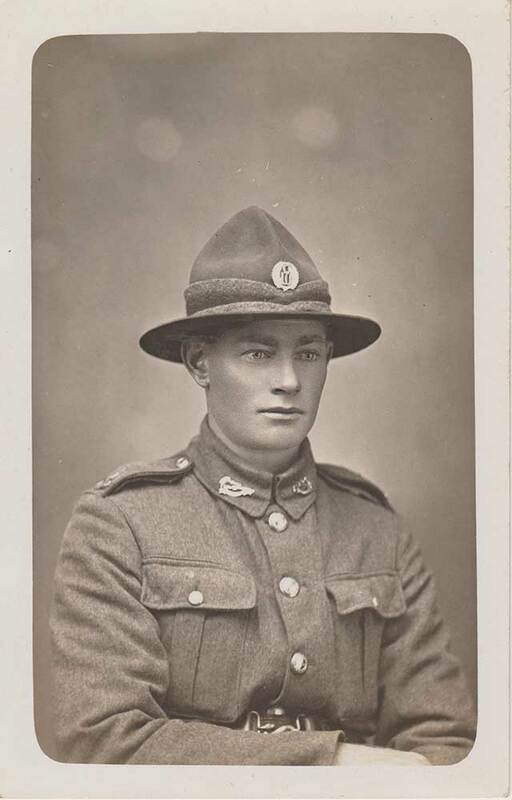 Very soon after arrival in Egypt, his battalion embarked from Port Said for France on 13 April, and on 18 June 1916, he was posted to the 2nd South Canterbury Company. On arrival in France the 2nd Battalion entrained for the Armentieres area where they continued to train for the forthcoming battles. On 9 August 1916 Stewart spent a few days in hospital sick, and on 13 August, he was posted to the 2nd Company, 2nd Battalion, Canterbury Infantry Regiment. During this period his unit spent time training, and involved in trench warfare and assaults on the enemy positions. On 5 September he again spent a few days in sick in No 2 NZ Field Ambulance. By mid-September 1916, the Third Battle of the Somme had started and the 2nd Battalion was in the thick of it. For their efforts during this time, they received the following citation: "The Corps Commander congratulates the New Zealand Division on the success gained last night (20th/21st inst.) by the 2nd Battalion Canterbury Regiment. The repeated attacks, renewed and delivered with such energy and determination speak highly of the fine fighting qualities displayed by all ranks. On October 5th the General Officer Commanding the Division received the following message from General Headquarters:— "A copy of a telegram sent to-day from the Commander-in-Chief to the New Zealand Government is forwarded herewith for your information and communication to the Division, The Commander-in-Chief desires to add his warm congratulations to the Division on the splendid record they have achieved. Message:—"The New Zealand Division has fought with greatest gallantry in the Somme Battle for twenty-three consecutive days, carrying out with complete success every task set, and always doing even more than was asked of it. The Division has won universal confidence and admiration. No praise can be too high for such troops." On the 18 December 1916 Stewart was reported sick again and spent a few days with No 2 NZ Field Ambulance. On 13 January 1917 he was promoted to Lance Corporal. During this time his unit was in training for the Battle of Messines. This battle was to prepare for the later assault on Passchendaele. On 7 June 1917, at 3am in the morning, the assault began at Messines. The next day, 8 June, Lance Corporal Boulter was reported to have received severe wounds to his back and was admitted to No 77 Field Ambulance before being sent to No XI Casualty Clearing Station. He was transferred on 9 June to No 22 General Hospital, then sent to England on 12 June aboard The Hospital Ship Princess. Here he was admitted on 13 June to the NZ General Hospital at Brockenhurst. This was to be the end of Stewart’s war as on 24 July 1917 he was sent to the Discharge Depot at Torquay, and on 15 August, departed from Devonport aboard the SS Tofua for return to New Zealand. On 2 January 1918, after having served 2 years and 47 days, he was discharged as no longer fit for war service on account of wounds received in action. He was later awarded the British War Medal and Victory Medal for this service. Returning home to Temuka, Stewart lived at Hornbrook Street and was employed as a labourer. On 8 August 1933, aged 47 years, he died at Temuka. His funeral service was held in St Peter’s Anglican Church, and he is buried in the Services Section of the Temuka Cemetery.